Real estate transactions are unique from most other transactions that people encounter. First, most people are part of a real estate transaction just once in their lifetime and, more importantly, it is the largest transaction they handle. The process winds its way from researching geographic areas, if you are a buyer, finding an agent, looking at properties online, visiting open houses, making appointments, negotiating a price, signing a contract, and, finally, opening escrow. areas, if you are a buyer, finding an agent, looking at properties online, visiting open houses, making appointments, negotiating a price, signing a contract, and, finally, opening escrow. Each step requires a different level of diligence and different type of information to ensure right decisions are being made. However, once escrow is opened it is a matter of "project management." The escrow officer is responsible for ensuring the contract is executed exactly as t unresponsive. This results in a breakdown of the process and all parties are affected – emotionally and financially. Escrow officers are caught in the middle trying to do their jobs and imagine the plight of buyers and sellers if escrow officers find themselves wanting for information. If an escrow does not close as planned buyers could be without a roof on their heads and sellers could be left with significant financial obligations. Each party needs to be able to obtain information and receive updates on progression of all tasks in the contract. I have been personally involved in three transactions over the past ten (10) years and each time my stress level could not have been higher during the escrow process. The escrow was stressful not only due to amount of money involved but also financial implications of delays or the transaction completely falling out of escrow. Yet, I was surprised to learn that communication took place via email, phone calls and text messages. There was no way for me to obtain information in real time through a web site or a mobile app. This was just unacceptable to me, and more than likely, to most buyers and sellers. Although there are numerous platforms that focus on ease of communication between individuals, certain industries, like the real estate, still rely on a few non-contemporary modes of consumer preference. Consumer preference for communication used to be phone, fax, and email. It has evolved into websites, and mobile apps, and will soon become chats and messaging. So, why does the real estate industry seem behind the times? In my opinion, one reason, is that realtors are expected to shoulder much of the burden of leveraging technology in their business. Brokers provide the basic infrastructure but every other tool available to them is at cost. Agents, then, tend to find the lowest cost tools to conduct their business and communicate with their clients. Free or low cost tools, typically, imply isolated pockets of information, disconnected processes, and a sub-optimal experience for clients. With cut-throat market competition, such an expectation and approach prevents agents from wanting to incur the expense of sophisticated tools – secure email accounts, mobile apps, customer relationship management systems, etc. This, in turn, hurts their clients and makes the job of agents and TCs that much harder due to inefficiencies inherent in disconnected systems and processes. The solution is for a real estate communication platform to be developed that leap frogs over the current trend and provides the trend that is about to explode in 2017. Numerous surveys have shown that chat and messaging based communication between consumers and businesses is a game changer. Chat and messaging based automation, a.k.a. Chatbots have arrived in the marketplace and are secure, more sophisticated, innovative, engaging, and inexpensive compared to web sites and mobile apps. Research has shown that mobile apps have reached saturation and retention is low. Moreover, with millennials entering the housing market more and more, agents and brokers need to be where their customers are. In the context of real estate transactions, chatbots can do everything web sites and mobile apps do, only better. They can integrate text, images, emojis, understand natural language and slang, can be multi-lingual and extremely smart. Most importantly, information could be pushed to clients simultaneously on their smartphones, tablets, laptops, and desktop, which significantly improves probability of a response because information is available for clients even when they transition from one device type to another throughout the day and evening. Moreover, we have become accustomed to reacting much more promptly to a text message or chat than to a website, mobile app, or a voicemail. Leveraging chatbots for conducting business, providing interactive and proactive communication that keeps clients engaged is going to be the name of the game. Make chatbots an integral part of your business strategy and differentiate yourself as a market leader. Kedar Sathe is the Founder and CEO of BESIS AI (https://www.BESISAI.com), a company that has developed innovative platform for financial services (real estate, mortgage lending, and banking), entertainment, and marketing. A visionary thought leader who has been creating opportunities, and solving problems for over 20 years through creative use of technology. Mr. Sathe’s experience spans industries such as mortgage lending, mortgage servicing, consumer banking, risk management, oil and gas, insurance, and market research. Mr. Sathe has developed award-winning mortgage technologies that catapulted Indymac Bank to a Top 10 lender. Most recently, Mr. Sathe was Head of Consumer and Internet Banking Technologies at OneWest Bank, and CIT Bank in Pasadena, CA. 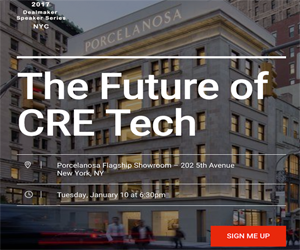 Newer PostBrokers: How Can CRE Marketing Tech Improve Your Business? Our Ebook Explains.